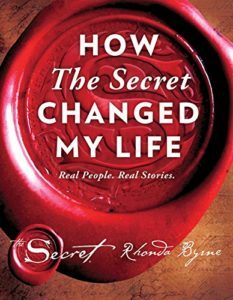 Our lives have been changed by The Secret, as have those of Andrew and Craig from the Overdue podcast. So they joined us in reading How The Secret Changed My Life by Rhonda Byrne. We were delighted to combine our vision boards with Andrew and Craig; less delighted to hear about all the people who quit their jobs and their medicines and their Canadian lifestyles with no backup plan other than the goodwill of the universe. We know you’ll love this episode, because we already asked the universe for your approval. Candy Pairing: Andrew says CBD gummies, Craig says Zeebo pills, Kait says a picture of candy, Renata says 3-course meal gum. Coming up next: Year One by Nora Roberts.